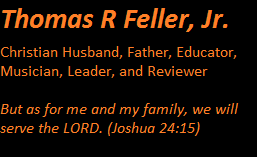 An Interview with Ian Acheson (Part I) | Thomas R Feller, Jr.
April 10, 2013 by Thomas R. Feller, Jr. I can not tell you how excited I am about the blog posts over the next few days! On Friday I’ll be posting my review of Angelguard, the first book in the Angelguard Trilogy by Ian Acheson. Ian and I have been emailing back and forth over the past week and he has agreed to be interviewed on the blog, so today’s post is part one of that interview. Check back tomorrow for part two, and then on Friday I’ll post my review of the book! Part one of the interview will focus on helping us get to know Ian as a writer a little bit before venturing into the specifics of the book. So here we go! TF: First, thanks so much for agreeing to do this – I’m very excited to be participating in this blog tour. Can you tell us a little about yourself, like what do you like to do when you’re not writing? IA: I’m a self-employed strategy consultant so I am seeking new opportunities, clients, etc most weeks whilst completing engagements. I read a lot and a lot and even some more. I read widely besides what I mentioned above on business, faith and writing. Fiona, my wife and I spend a lot of our down time together hanging out. We enjoy movies, theatre and food. Fi’s a great cook, which is a blessing. TF: So what books have most influenced you? IA: Wow, Thomas where do I start? Fast action based novels have been a key influence. The Left Behind series, Joel Rosenberg’s “Last Days” series, to Ted Dekker’s early thrillers like Blink and Three. Obviously Peretti’s novels. Many other great Christian authors like Mike Dellosso, Tom Pawlik, Mark Andrew Olsen, Tosca Lee, Erin Healy. Probably like most of us there’s a long list. We really are spoilt with the depth of quality authors. Further, I read a lot of secular suspense thrillers from Daniel Silva’s “Gabriel Allon” series, I’m an old Clive Cussler fan, to Australia’s Matthew Reilly. I read a lot of Biblical commentaries and what I call Christian self-development books too. TF: Alright, well if you had to choose, which writer would you consider a mentor? IA: I grew up reading the classics: Dickens, Austen, Eliott, Shelley, etc. If there was one novelist I’d like most to write like its Australia’s Tim Winton. His mastery of the English language and ability to create evocative scenes are extraordinary. TF: You mentioned that you like to “read a lot”. What book(s) are you reading now? TF: You go into some detail on your blog about your inspiration for the book, but can you tell us what inspired you to write Angelguard? IA: We live in a world where so much evil occurs. It fascinates me that the Bible talks a lot about spiritual warfare but we as a Christian community tend not to. In writing Angelguard I hoped to highlight this battle. All my life I’ve loved stories of good and evil. Super heroes, to Tolkien, CS Lewis, Ted Dekker and on. Frank Peretti’s “Darkness” books had a big impact on me 20 or so years ago when they came out. Since I was a kid, I’d always visualized angels and demons in the common way I think most people do, that is, human-like with wings. Other than Lewis’ work, the “Darkness” novels were the first Christian novels I’d read that provided a visual picture of this spiritual battle. This entry was posted in Author Interviews, Book Reviews, Fiction and tagged Author Interview, Blog Tour, Book Review, Christian, Ian Acheson, Kregel Publications. Bookmark the permalink. Thanks again for having me on your blog. I hope your peeps enjoy the Q&A. Pingback: An Interview with Ian Acheson (Part II) | Thomas R Feller, Jr.
Pingback: Angelguard | Thomas R Feller, Jr.